That’s why we are committed to creating safe and fun environments where your children are taught about the Bible and the love of Jesus through relevant, age appropriate kids services. Our ultimate hope is to see a generation of children come to know God at an early age. Your child’s safety is incredibly important to us, and we are committed to a system that creates a safe environment. This means our staff and volunteers in every service and classroom have completed a background check. Every kids area has safety crew present to monitor and see that the kids entrances and exits are secure. Our entire team is thoroughly trained and immersed in a culture of safety and cleanliness with the well-being of your child in mind. As a church, we are always investing in the next generation, and this starts with babies and kids. From praying over infants to sharing relevant Bible lessons with elementary kids, our goal is for each child to learn about the Bible and God’s love in an interactive, fun and intentional way. We suggest arriving 20 minutes early in order to check in your child and make it to the service on time. You can also choose to pre-register your child online before your first visit. Our nursery rooms are well staffed and prepared with age-appropriate toys that are thoroughly cleaned every week. As our team holds your baby, we pray for them to know God, find freedom, discover their purpose, and make a difference throughout their life. Our 1 year olds will have activities throughout the month that will reinforce the love of Jesus through play! Your toddler will also be able to watch a fun Bible story and sing songs together! So don’t worry. Your little one will be well cared for while you enjoy service. This environment is created especially for 2 year olds through preschool-aged children. We can’t wait to meet them! We know things are busy at this stage of life and your children are learning and growing in amazing ways. We are ready for them. We believe in an active, hands-on approach to learning about God with preschool children. So, you can plan on a lot of games, singing, dancing, and laughter in every experience. 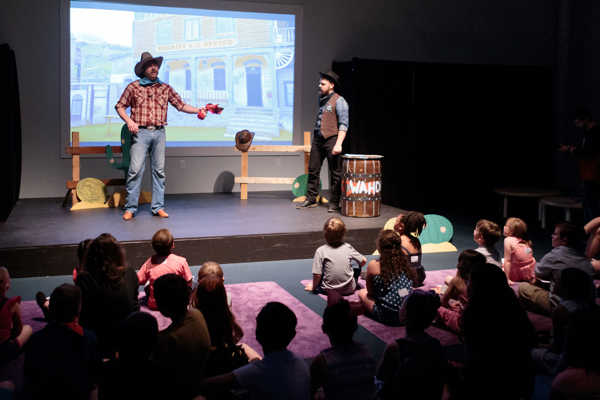 Our services are designed to present Jesus to elementary kids in an exciting and meaningful way. Every week they get to play games, experience a time of worship, have the bible brought to life through live storytelling, learning a verse from the Bible, pray together, and build lasting friendships during small group time. Sundays will quickly become their favorite day of the week! Get information about water baptism, child dedication, and other resources.